Nick Bell is one of 365 designers asked to design a page in a 2018 calendar for an Italian paper manufacturer. Fedrigoni UK have worked with Counter Print to sell and distribute a limited run of 500 copies for which all profits go to the Make-A-Wish charity. Nick's day page he was given to design is Friday 13 April. Fedrigoni's brief asks designers to work with their date number. Nick decided to conjure the figure 13 out of 13 ways in which design is changing. 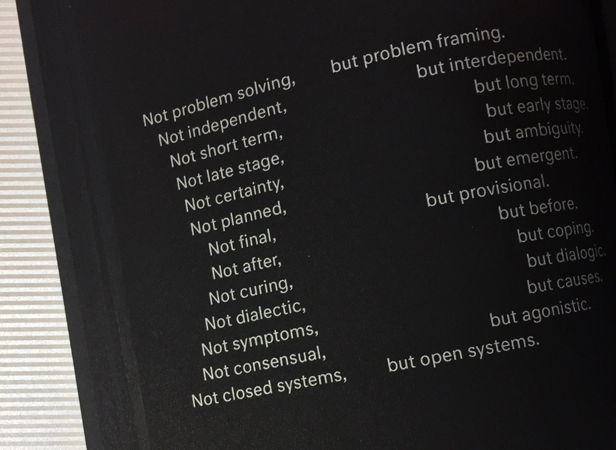 "In an attempt to address looming crises, designers have been altering the traditional set of agencies they are known for to better support societal transitions to sustainable practices, systems and cultures".